Halloween is upon us! Are you worth your weight in sugar? The average American eats more than 150 pounds of sugar a year. Halloween is a time when we seem to give in to those sugar blues. According to Rita Elkins MH in the book”Solving the Depression Puzzle,” (1) “We have become obsessed with sugar, not fully recognizing what excessive sugar consumption does to the body, and how it destroys the mind. Sugar leaves our tiny trick or treaters moody, cranky, unable to focus or comprehend.” Sugar is a powerful substance that can have a ‘cocaine’ drug-like effect, and it is considered addictive by a number of nutritional experts. In fact, excess amounts of sugar is toxic to every organ in the body. As a parent, a health coach and a published author of Path to a Healthy Mind & Body, I know that a child’s mind can not learn or function properly on an abundance of refined sugar or HFCS. Yet, we condone this sugary habit on holidays, birthdays, Halloween and in the form of daily rewards both at home and at school. I have seen this first hand when teaching health classes in high schools. Sugar can cause depression and hyperactivity in adults and children, as it leaves us with a chemical imbalance. A study reported “accelerated cognitive decline” in teens who ate a high-calorie junk food diet! (2) This can be one reason why children have issues relating and being kind to one another. Because sugar is devoid of minerals, vitamins, fiber, and has such a deteriorating effect on the endocrine system, major researchers and major health organizations (American Dietetic Association and American Diabetic Association) agree that sugar consumption in America is one of the 3 major causes of degenerative disease. In a culture that has cravings, illnesses and poor gut microbiome the brain isn’t satisfied going through a day without this white poison. But, that’s not all. Sugar wears out insulin receptors on cells. It shortens telomeres and increases premature aging. “When we consume refined sugar, our body can’t use it and therefore must pass it. In order to pass sugar, it must be carried in the bloodstream. This process alone increases our risk for fatty liver disease. In order to carry it in the blood stream the body must bind the sugar to a mineral, generally calcium. This calcium is often taken directly from our bones.” taken from the book “Sugar Blues” (3) Children are obese and taking adult medications to lower blood sugar levels. To make matters worse, because of poor gut microbiome we now have seen increases in brain cancers. Think of this next time you buy those bags of processed, GMO, chemical laden, not fit for human or pet consumption ‘so called treats’! Halloween candy contains “high fructose corn syrup” or the newer name “corn syrup” or “corn sugar.” A study in the journal Environmental Health, found mercury in nearly 50 percent of the tested samples of commercial high fructose corn syrup (HFCS). A separate study by the Institute for Agriculture and Trade Policy (IATP) detected mercury in nearly one-third of 55 popular, brand name food and beverage products where HFCS is the first or second highest labeled ingredient. The authors concluded, “With respect to total mercury exposure, it may be necessary to account for this source of mercury in the diet of children and sensitive populations.” (4) WOW, they are allowing MERCURY in High Fructose Corn Syrup! When I was growing up, Halloween was all about dressing up. We actually received prizes, toothbrushes and money for Halloween and gave pennies to Unicef. Today, I noticed the greeting card industry has changed Halloween to: National CANDY Day. Seriously! It makes you wonder how the sugar industry just expanded into the greeting card industry, in order to brainwash you into candy thinking! Remember: Halloween is the time that sugar can give you and your child a “tummy ache” making one feel flu-like symptoms. Our teens are developing more thyroid disorders at an earlier age. There are thyroid disorders linked to a toxic relationship with sugar. The thyroid gland is central to the regulation of your metabolism. If our thyroid is not functioning properly, every other organ system in the body starts malfunctioning. Sugar is an Endocrine Disruptor. Do you or your child suffer from migraines, insomnia or constipation? Ditch the sugar! Sugar adds additional stress on all bodily functions. Michael Taylor, vice president for Monsanto and a Monsanto Lobbyist was appointed to the FDA. Today, this corporation has been given more rights to life than we have__ even though our president promised to support GMO labeling. (6) Tim Kaine will follow in these footsteps. Why? Because as a lobbyist first, he supports Monsanto. Why? It Promotes Health and It’s the Season! When a food is in season, nutrients and flavor are best. I love pumpkin this time of year. If you’re like me, pumpkin is one of your favorite fall foods. The last time you steamed up some squash or pumpkin, did you roast the seeds? One ounce of pumpkin seeds contains 9.35 grams of protein. Their high protein content and level of nutrients makes them a wonderful addition to any salad or snack. *Pumpkin seeds can be roasted as a snack. *Add pumpkin seeds to healthy sautéed vegetables. *Grind pumpkin seeds with fresh garlic, basil and parsley leaves. Mix with olive oil and lemon juice for a tasty salad dressing. 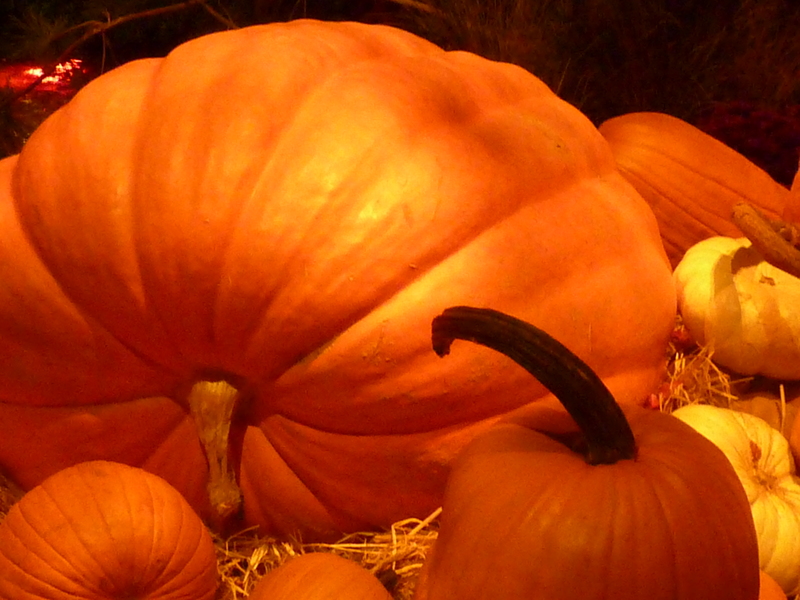 Pumpkins contain fiber, potassium, and Vitamin A. Blend in vita mix until smooth and hot about 2 minutes. Enjoy! Great article! I love pumpkin soup it’s my favourite of all the vege!